PC Based Access Control systems enable you to control who goes where and when. Cards or tags replace traditional keys to grant only authorized users entry. These commercial grade security products make Tacoma businesses even more secure. We only trust security devices from leading manufacturers to protect access throughout your business. These systems can be further integrated with additional measures including alarms, automated recording, and cameras. 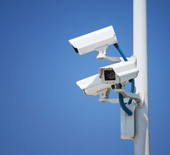 CCTV Guardian Security Group, Inc. can design and install CCTV as simple as a single camera and a monitor or as sophisticated as dozens of cameras with pan-tilt-zoom control, matrix switching, and 24 hour recording. CCTV integrated with Intrusion Alarms and Access Control, greatly enhances your security. One of the best reasons to choose CCTV is that it is a self contained network. Wireless security cameras open up a variety of security concerns that are not present in these security devices. Guardian Security Group, Inc. can install and service Automated Gate Systems designed specifically for your facility. 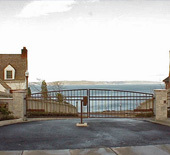 We specialize in: swing gates, slide gates, and overhead gates. 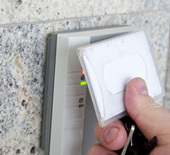 Our Electric Gate Entry System capabilities include: telephone entry, card readers, and digital keyless locks. When paired with outdoor security cameras you'll know exactly where and who is coming and going from your home or facility at all times. We provide the sales, installation, repairs, maintenance, and changing of a large number of home security devices and commercial surveillance systems. 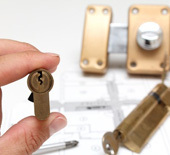 Locksmithing & SAFES Commercial, High-security Locks, Residential, Safes, Automotive, Security Doors, Window Bars, and more can all be used to provide greater home security against burglary and theft. We'll help you identify which solutions are the best options for your security needs and implement them accordingly.